The 5th Annual Forman Parliamentary Debating Championship (FPDC) was held at Forman Christian College from 14 to 17 February 2014. 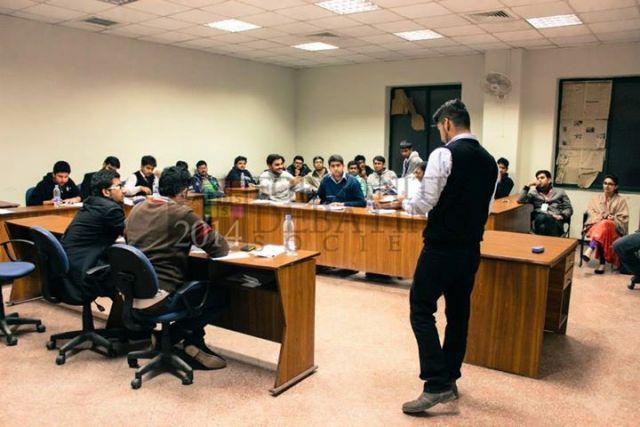 Institutions like Punjab University, UCL, FAST, Government College, NUST, KEMU, CMH, UVAS, LLC, Beaconhouse Defence Campus and LGS participated in both English and Urdu debates. 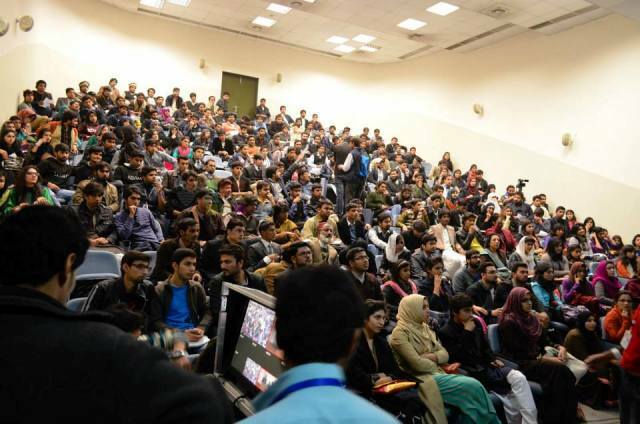 The opening ceremony was held on 14 February with Momin Niazi the president of Formanite Debating Society chairing the event. A video showcasing the University’s history and achievements of the past 150 years was played to welcome the guests. Thereafter, 40 teams set on into a debating battle that continued till day 3. The number of teams dropped from 40 to 4 on the final day. On 17 February the English debating finalists competed on “The house believes that political Islam is a threat to the west”. UCL won the English debates with GC as runners up. The Chief Guest, Muhammad Raza Hayat Hiraj and Dr CJ Dubash, Vice Rector Intermediate, presented the winning team with the trophy. On the Urdu front, PU and GC were neck to neck for the final trophy. The topic of debate was on “Is aewan ki rae mein askari adaron ki ayeen shikni mumlikat se baghawat nai”. PU won the final round and was awarded the trophy by M S Babar, the Chief Guest for Urdu debates.